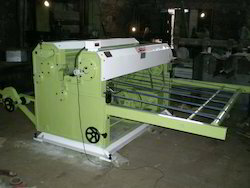 Heavy Duty High Speed reels to sheet cutter to cut paper as well as 2 ply corrugated board. 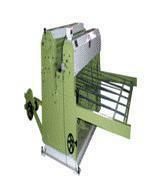 This machine can be operated in alignment of corrugated machine instead of rewind & making rolls on single facer. We are Offering Reel To Sheet Cutter PIV Gear Box Machines. 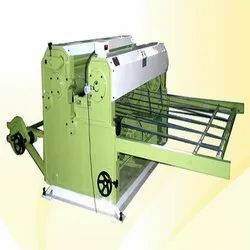 This machine can be operated in the alignment of a corrugated machine instead of rewind & making rolls on single facer. 52' 3500 16' 3 H.P. 95'X61' 2000KG. 62' 3500 16' 5 H.P. 90'X70' 2600KG. 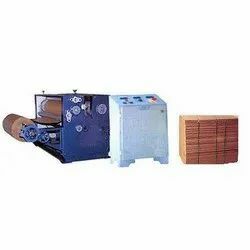 Simplex Type Paper Roll to Sheet Cutting Machine With ONE Roll Stand with A.C. Electric Motor and variable speed A.C. drive with Digital Stroke Counter With Standard Accessories. (Complete Gear Set, Spanner, L.N. Key, and Oil Can. G.S.M. to 500 G.S.M. easily. Machine is providing with counting attachment. motor with variable speed A.C. drive (Siemens). Pulley Cover Attachment is Included in the Machine. We are offering Reel to Sheet Cutter Machine to our clients. 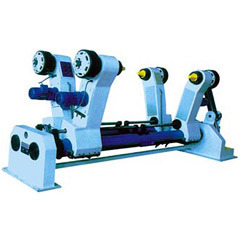 We are offering Roll to Sheet Cutting Machine with 5 Stand to our clients. 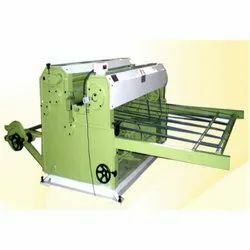 We are offering Programmatic Reel to Sheet Cutter Machine to our clients. 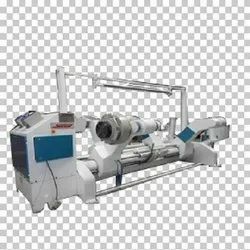 This machine is special equipment for cutting rolled paper and online sheet cutting of single facer corrugated paper with simple production,trimly cutting and high production speed. Equipped with programmable controller to auto control production. Auto reset,push roll with adjustable and controllable cutting lifetime period. Machine is equipped with man-machine interface to control the operation with production parameter. Electric components and bearing are quality. We are Offering Reel to Sheet Cutter. 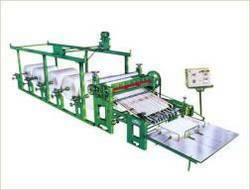 We are offering Paper Roll to Sheet Cutting Machine with 5 Roll Stand to our clients. Hydraulic Shaft Less Mill Roll Stand is featured by low maintenance, reduced wastage and user friendliness which in the long run is cost effective & economical. We can also produce them according to customers demands and requirements. We offer our clients a wide range of Digital Rotary Sheet Cutters which is fabricated using quality raw materials ensuring perfect accuracy, high production and sharp cutting of single face corrugating board without damaging the flutes as well as plane paper. Our range of digital rotary sheet cutters is offered without any PIV gear box and it does not require change in gears for sizes. We are offering Hydraulic Shaftless Mill Roll Stand to our clients. Electric control cabinet and operation box are equipped. We are offering P.I.V. Reel to Sheet Cutter Machine to our clients. With All Standard Accessories Complete. We are offering Roll To Sheet Cutter Machine with 5 Stand to our clients. Motorized clamping and centering with overload protection device. 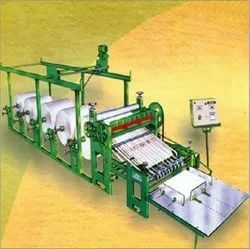 Looking for Paper Roll To Sheet Cutting Machine ?